More than a decade after Stephen Harper branded Canada as an “emerging energy superpower”, the country has seen its global energy clout sink. Shortly after taking power in early 2006, Canada’s then-prime minister dreamed of new pipelines exporting growing oil sands output in every direction; multibillion-dollar industrial facilities capable of cooling natural gas below -160C so it could be liquefied and shipped to energy-hungry Asian markets; even a booming biofuels sector. Now, as Malaysia’s Petronas becomes the latest international energy giant to abandon its ambitious Canadian growth plans, any dreams of seeing Harper’s vision become reality have suffered a major setback. Meanwhile, other global players – from American shale producers slashing their break-even costs enough for long-term survival to Russia becoming a de-facto member of the OPEC cartel – have ascended the ranks of the global energy hierarchy to the position Canada once sought. 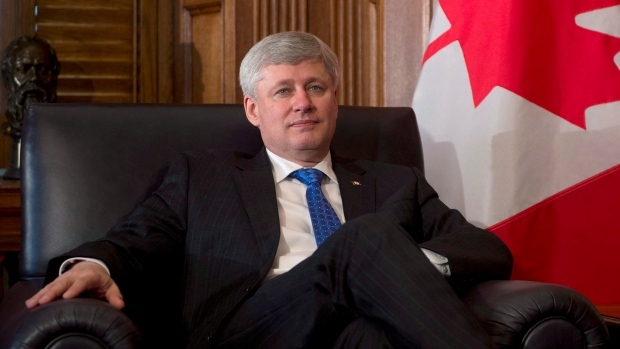 Below, BNN breaks down the five main factors that undermined Harper’s goal. No single factor was more influential in halting the rapid upward march of the Canadian energy sector than what happened to crude oil prices in late 2014. In what remains the most significant collapse in the modern history of crude oil, prices fell from more than US$100 per barrel to below US$30 in a matter of months; and even today they remain at less than half of their former value. Profit margins were decimated and in order to survive, the industry that was once expected to create 100,000 new, highly-paid jobs over the next decade was forced to shrink its labour market by an even greater amount. Plans for future expansions were delayed, put an ice or cancelled outright. That was especially the case for new oil sands mines, where break-even costs remain north of US$90 per barrel. Trouble is, by the time those companies made the necessary preparations and investments, that spread had narrowed to such an extent that few could still justify the economics of their proposals. That was especially true in Canada, where the cost of building new liquefaction and export facilities from scratch dramatically outweighed the cost of reconfiguring import terminals that already existed in the United States. 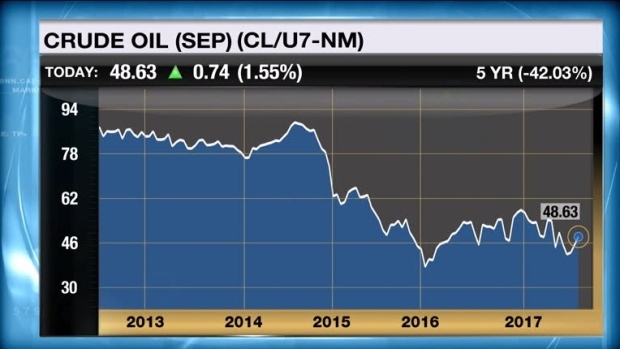 Well before crude oil prices collapsed, Canada’s oil patch was already pushing up against the limits of its own growth prospects as companies spent more and more to pull petroleum products out of the ground. Chronic labour shortages led to increasing competition between companies trying to recruit top engineering and operational talent. The result was dramatically rising wages, where truck drivers could make upwards of $170,000 per year and those with more specialized skills could demand far more. Even if crude oil prices had remained near their lofty triple-digit heights, it is entirely possible the industry would have failed to attract – or afford – the tens of thousands of additional workers that would have been required to achieve their ambitious growth plans. Few people in 2006 could have foreseen the extraordinary level of public resistance to building new oil sands export conduits. Industry experts had made it clear, even back then, that Canadian crude oil production would soon be capped without additional pipelines to carry the growing amount of oil sands output from land-locked northeastern Alberta to deepwater ports and global markets. However, a growing chorus of environmental and Indigenous groups were in the process of galvanizing opposition to any new oil sands pipelines, based partially on climate change concerns as well as respect for the rights of Indigenous communities, who were concerned about the consequences of allowing those pipelines to cross their traditional lands. While many have since argued against the environmental basis of pipeline opposition (i.e. pipelines are better/safer than trains and limits to oil sands growth would only shift that growth to another, possibly less regulated, part of the world) the adversarial approach taken by the Harper government certainly did not help matters. First it was the end of 44 years of Alberta Progressive Conservative Party rule in 2015 that saw the provincial New Democrats sweep to power for the first time. Then, later that same year, Stephen Harper’s Conservative administration at the federal level fell to Justin Trudeau’s far more left-leaning Liberal Party. Then just a couple months ago, British Columbia’s Liberal Party-led government also fell to the New Democrats. All three of those new governments are taking a hard line on environmental policy, with each of them (save for B.C., where the new NDP government has not been in power long enough to do much of anything) implementing new legislation intended to lower overall greenhouse gas emissions and bolster public faith in regulatory reviews. Increasing costs to business – especially those in the natural resources space – has been among the various consequences of those moves. While it would be difficult to argue that even the most business-friendly government policy imaginable could have allowed the industry to avoid its recent decline, the case could easily be made that recent policy shifts to the left have made a bad situation worse for Canadian energy businesses.